ACTRC’s fourth Advisory Board meeting was held on 13 October 2017. 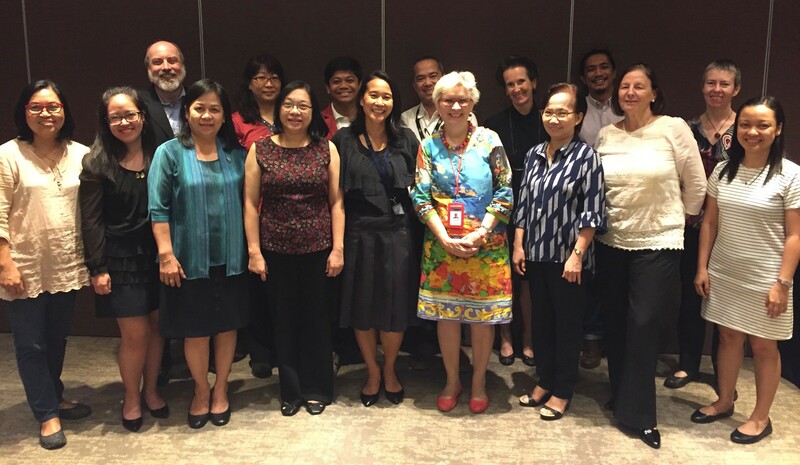 Members of the ACTRC Advisory Board include representatives from the Department of Foreign Affairs and Trade – Australian Government, the Basic Education Sector Transformation, the Philippines Department of Education, the University of the Philippines, the University of Melbourne and stakeholder organisations SEAMEO, UNICEF and the Research Center for Teacher Quality. ACTRC Directors Dr Bustos and Dr Care reported on Centre activities and future directions. The Board provided advice on upcoming projects and opportunities and on how ACTRC research findings can inform policy and practice in the Philippine education system.